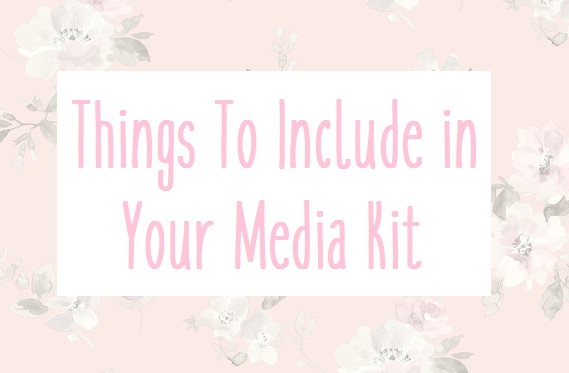 If you follow me on twitter already know you'll have seen my media kit being posted to brands and networking hashtags etc but I wanted to make a blog post to talk about why I have a media kit and what I think every blogger needs to include in theirs. A media kit is a document which outlines your blog business. Think about it as your CV, anything you have done on your blog you should include in your media kit. Try to keep it as small, simple and as to the point as possible. Brands and PR people don't want to spend ages reading through everything about your blog without them needing to ask you questions, I've become aware of the fact that people want a quick glance at a stand-out media kit which explains a bit about yourself and about your blog. HOW TO MAKE A MEDIA KIT? If you're wanting to make your own media kit and don't know where you start or would just like to have a look at some sample ones then check out Zine* which is an awesome website where you can sign up for free and make your own media kit with loads of style to choose from. WHAT DO I INCLUDE IN MY MEDIA KIT? || Your Blog Header || In my opinion, including your blog header is a must and should be at the top of your media kit. I know a lot of bloggers and brands because I recognise him by their blog header or blog button more than their website link or their profile picture. || About Yourself & Your Blog || You should also include an about yourself with a possible photo, and of course an about your blog. These don't need to be massively worded - give simple facts which are straight to the point. || Stats & Followers || Make sure that you include your statistics and traffic, and your following count but make sure you keep it all updated. I personally edit and update my media kit at least once every month. It's okay if you are a newbie blogger and have only just started, don't feel like you don't need a media kit, in my opinion, you do and you should add the date of when started blogging so that brands know that you're still growing and developing your blog. || What You Offer || Another thing to include is what services you offer for brands or other bloggers. Are you doing monthly advertising? 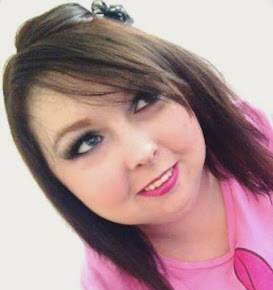 Would you like to do blog post reviews, giveaways, guest posts, etc? Make sure you include what you and your blog offer. || Picture Samples || I personally think that including samples of the pictures you have used on previous blog posts is a good idea too because you are showing different views of pictures which you can offer the brand who may want to work with you. || Your Contact Information || Most importantly, include your contact information. You need to put your email address and your social media links on your media kit so that brands know where to message you, follow you or simply just check you out. My advice is to keep all of your social media accounts in the same name so it's easy for people to find you online. || The Design of Your Media Kit || Lastly, you should make sure that the branding of your media kit matches your blog. 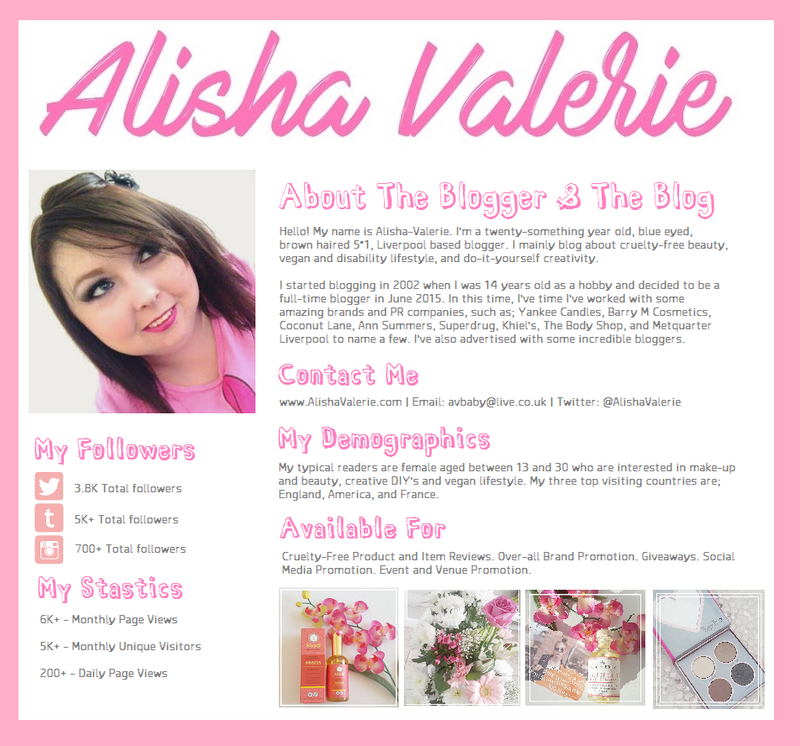 Example; my blog is very pink and pastel coloured with pink or grey font colouring, so I've matched my media kit the same. A lot of brands and PR people view your media kit as a quick sample look at what your blog is going to be like so they should be similar in more than one way. Please remember this is just my advice and my opinion if you don't agree with everything I've said then that's okay. I just wanted to make this blog post to help out bloggers who may be struggling with their media kits. However, I would also love to know your thoughts; do you have a media kit and have something on there which I haven't included? Let me know in the comments below.. This is such a lovely post! Having a media kit is so important! Yesss girl this is such a helpful post! I know you’re gonna help so many people wit this! This is some really useful information! I wouldn’t have enough views for a media kit but I’ll keep the tips in mind. I still don’t have a media kit so this is super useful! Such a helpful guide for new bloggers! My media kit needs a serious update soon! All very helpful things to have in a media kit! I don't have a media kit but i think that's because I just feel like my blog is just far too small at the minute! Though, when I do go to make one (hopefully some time in the future), I will definitely keep these tips in mind! thanks so much for sharing this -- when I was first putting mine together I felt so lost and no one was really willing to share examples of what their kits actually looked like! I really need to make a media kit! Ah I really need to make a media kit and I've been putting it off for so long. These tips definitely helped me out, thanks lovely! Oh this is so so helpful i need to update mine so ill be taking these tips on board! I’ve only just started branching out from book blogging to lifestyle blogging and I’ve been thinking of making a media kit but didn’t know where to start. These are great tips! I still don’t really know what exactly I can offer but I’m just going to try some stuff out, I guess. I’ve already done many book reviews for publishers so I’ve got some experience already!